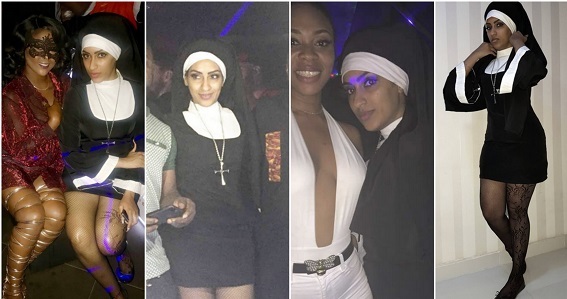 Delectable Ghanaian Actress, Juliet Ibrahim isn’t in the mood for cyberbully as she has lashed out at Christians criticizing her Nun Costume ourtfit for her party, which held yesterday. The actress, fired back at her critics calling them hypocrites as the reason for the party is to raise funds for the less privileged. Fake Christians always ready to bully others into their nonsense archaic beliefs of their socalled version of their own Bible.